In terms of dropshipping, France is the perfect place to launch a webstore and start your own e-commerce business. This is what you can learn from this inspiring success story of Yan who managed to earn moderate yet promising profit in the very first month of his store operation. Let’s learn from his experience! I first got into the “make money online” business as a way to pay for my medical studies. 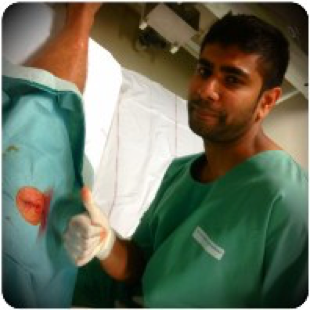 I started a medical/study blog sharing my ideas on how to study medicine around 2013. But blogging, writing articles, SEO, keyword research, etc. are tough concepts to master and I didn’t have enough time to develop the blog. I also created an anatomy course to go with the blog but I was making less than $100 per month. It took me more than 6 months to develop the course. Also I was spending most of my free time helping my students. So I stopped everything after a few months to focus on my studies. But the itch was still there. I retried a few times to launch the site but the enthusiasm wasn’t there. It took me a lot of time to see some results from google. I was pretty discouraged and stopped everything in 2016. Why and how did you choose the dropshipping business model, after all? 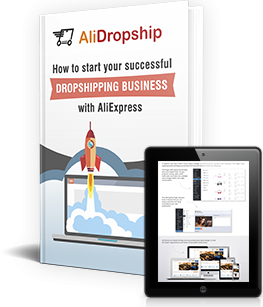 How did you learn about AliDropship solutions? My dropshipping journey began when I first stumbled on Yaros’ journey on a forum on the 16th of November 2017 (forgot which forum). I was amazed at his results and stayed up all night reading the thread. I understood the concept and thought that I could give it a try. I had nothing to lose. I immediately bought the plugin the next day and made my first post on the AliDropship forum. I was excited and my first goal was just to make my “first sale”. It took me some time to get used to the business and some time to learn how to set up the plugin and my site properly, but the AliDropship Codex was a great help. Plus, I had a lot of help from Ekaterina and Victoria. I owe a lot to Jamal Jubran and Alessandro Po for their precious help, and to other members of the AliDropship Forum. I bought the plugin only because I already had a hosting with hostgator and I wanted to test the plugin myself. Since then, I have bought the recent sales pop-up, the customer gallery add-on and the new abandoned cart extension. They all gave a boost to my sale numbers. I have only 1 store. It took me 2 weeks to set everything up on the store. I had to wait for Black Friday to shift my hosting to siteground and I was still working on the site till the end of November. I started promotion on the 2nd of December. I set a goal of making my first sale at the start of this journey by the end of 2017. 2 months ago I only had a vague understanding of dropshipping. Last month at the start of December I had $0 in sales. I spent $92.20 on IG shoutouts ($88) and Facebook Ads ($4,20) during the month of December. After paying for the orders and Stripe/PayPal fees, I made a profit of $68.68. I’m not counting hosting, domain fees and price of AliDropship plugin in it. Not groundbreaking by any means, but I’m lucky to have profited from my first month online in dropshipping. My goal for January is to make $1000 in revenue. I have already made $1358.41 from the 1st Dec 2017 to 21st Jan 2018. I bought another license for the Alidropship Plugin but my time is very limited. I will try to develop another store in March. How did you choose the niche? I just picked a niche based on Yaros’ initial experience. I picked a niche in which I was passionate. I wanted to get the store up and running as soon as possible. This is a “mistake” on my part and if I was to start again, I would spend more time on market analysis. My niche is very, very competitive with some competitors spending around $100 in shoutouts. I made a list of all competitors in my niche and to date, there are 47 stores in this niche, all competing for the same limited influencers. Initially, I just picked the bestsellers from my niche on AliExpress. I added 100 products before starting promotion. Now I’ve gotten better at product selection. The trick is to sell a product that has very high value in the eyes of a customer at a “low” price. The first promotion I tried was placed on my Facebook page. I was trying to sell a $0.99 keychain from AliExpress for 9.99. I made 0 sales from that first promotion. I decided to take my time and search for a high value product. When I got one, I did a free shipping offer for that product and bingo, I made $80 in total for my first Instagram shoutout. Also, you have to check the prices of your competitors and set your prices lower than they had. I have modified the standard prices formula so that the prices of products on my site are always lower than the ones of competitors. I have noticed that my competitors always focus on product quantity but I have deliberately decided to focus on product quality at a low price. So I have only around 100 products on the site but I’m constantly updating the products, removing useless ones and setting the best prices for my customers. Do you remember the first sale made from your store? How soon did it happen? What have you done to achieve it? I made my first sale on my first Instagram promotion! I actually made 8 sales on my first promo. I could not believe my eyes that this strategy actually worked. It took me 2 weeks to get this sale. I used only instagram shoutouts for the month of December. This is a very good strategy but the number of good influencers is very limited. And there are too many competitors doing shoutouts everyday. There are many days where I had no shoutouts, thus “0 sale”. And I was testing every Instagram influencer I could get my hands on, and most of them had fake followers. I wasted a bit of money on them. I spent $92.20 on IG shoutouts ($88) and FB ads ($4,20) during the month of December. In January, I spent money on FB and IG ads for the first week. I had no knowledge and made only 1 sale. I got smarter on IG shoutouts though and hit my first $100 in sales for my first shoutout. again > $100 for my second shoutout. and even $200 for my third shoutout. 4 orders came from repeat clients for this shoutout. Now I hit $100 per day for most of my shoutouts. I pay on average $10 for each shoutout and I work exclusively with a few selected influencers. I started FB ads on the 20th of January after having spent the last 2 weeks learning everything I could about it. I made around $60 from a $5/day ad. I’m also working hard developing relationships with my previous clients and staying on top of my client relationship game. It takes me around 30 mins to 1 hour to manage the store. Someday I don’t touch it. Someday I spend 2 hours on it. On average, I spend around 10-20 hours per week on the store. I also spend a lot of time off the store, learning everything I can about dropshipping from YouTube videos, online forums and Facebook groups. The most time consuming tasks for me are product research and customer service. 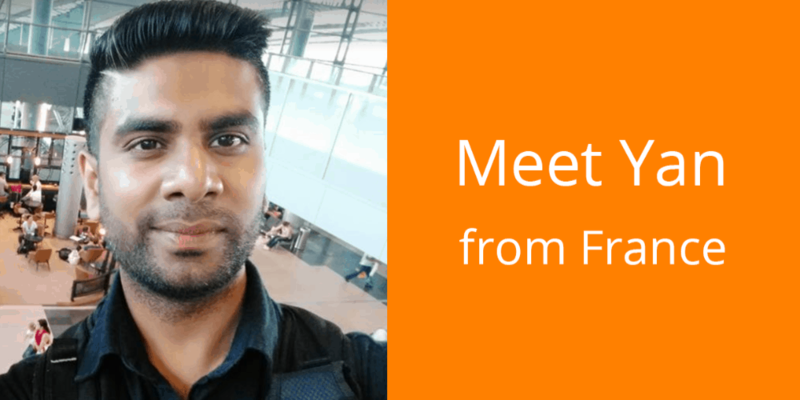 The most difficult challenges were learning everything about the AliDropship plugin and driving targeted traffic to my site. Yaros made the most awesome plugin! After having spent countless hours on it, I now know it like the back of my hand. The plugin does everything and is a huge time saver. How to use product description from one AliExpress supplier and the products from another AliExpress supplier on the same product page. How to use reviews from one supplier for the same product from another supplier which is cheaper but has no reviews. Diving head first into a passion of mine instead of analyzing the niche and competition. Importing 100 of products without verifying supplier details. Not using SSL on my domain. Using a shared hosting on hostgator. Watermarks on all my product pictures. But my Biggest Mistake of ALL: Using Test key on stripe! Luckily, I managed to correct most of the mistakes, and I am still working on some. I have refunded only 1 product (because the buyer mistakenly bought the same product twice). I got scammed by an IG influencer and almost lost $10. Luckily, I only pay for goods and services via PayPal, so I was refunded. One client created a dispute on PayPal after a purchase because he thought I was a scammer. But I managed to provide PayPal the order number and tracking number. I always provide a tracking number for each product even if I pay more to get the tracking order. He got the product alright after 2 weeks. I got another client who put only his first name on the purchase details. I forgot to check his details and the product were sent to his address with only his first name. I managed to track him down on IG and told him to track the product as soon as it arrived in his country. I did not register my business in France. But I’m registered as an “auto-entrepreneur” or “solo business”. You need a business identification number to use Stripe. I use both PayPal business account and Stripe for my site. How has your life changed? What do your friends and family think about your business? My life has completely changed. I made more in my first 45 days dropshipping than in 2 years of blogging. Plus, I managed to make some online friends. It’s also good to develop other skills like marketing online besides my medical skills. I love to wake up or get back from work to see how many sales were made while I was sleeping or working. I’m only a part-time dropshipper. I’ll continue working on my one store and develop another one in February-March. If I start to make more than I can handle, I’ll look to hire a VA or just sell the site. Until then, I’ll continue on my Ali dropshipping journey! 3 months ago I only had a vague understanding of dropshipping. I’m not the most well placed to advise you about dropshipping. I’m still learning myself. 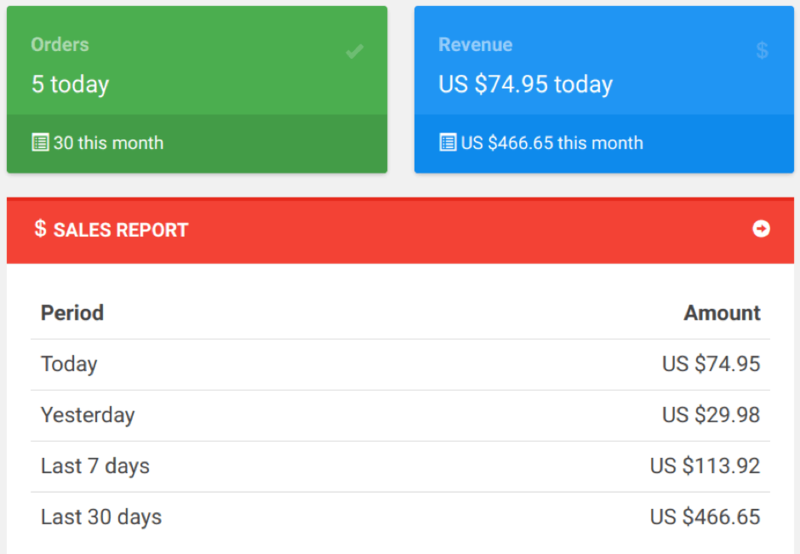 I made many mistakes along the way but 1 and a half month later, I managed to cross the $1000 in revenue. 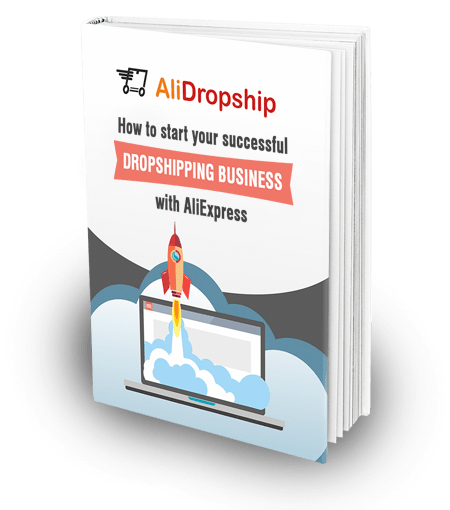 I learnt everything from YouTube, the success stories of other dropshippers, from the AliDropship forum, online forums and FB groups. Listen to advice from other successful dropshippers like Jamal, Yaros, Katie etc. You can contact me on the AliDropship forum. I reply to every message I get. Be careful of scammers selling you courses. You can get everything for free online. Work smart. Take the time to know your market. Vet the influencer well before booking her/him for a shoutout. Learn FB marketing well before your first FB/IG ads. The next important thing is the product! Choose it well! I would like to start airdropshipping. Is there anyone whom I can talk to about this? Thanks. may I also contact you on Skype please? Then how will customers know about your store? So basically you made 15% from 29 orders. Now you are planning to get a revenue of $1000 which means your profit would be $150, I assume you would need about 75 orders in order to reach that. I do not want to sound negative, but that is a lot of work for making $150 a month. Please check Yan’s screenshots, he was going to reach $1000 in January, but was able to reach $1358.41 to the 21st of Jan. I spent a lot in the first month because I was testing out influencers and trying out facebook ads. In my second month, I had already everything in place. If you look at the other screenshots, I did $400 with only 3 shoutsouts which cost me $27 in all. And the cost for products was around $150 (not sure need to check this out). I increased my profit margin in January compared to December (from 15% to roughly 50% in January. Which Siteground hosting package are you using and recommend? Sorry for the late reply. I use the GO GEEK package. Well done Yan and even though you say sales came from a very, very competitive niche, your story shows what can happen when you concentrate on your goal and ignoring the competition. Even if you didnt and prior to eventually selling your site, I’m sure that $2k profit will be happening very, very soon! Which platform did he used ? Shopify, Woocommerce ? And why the currency is in dollars ? He is in France,supposed to use Euros. I use wordpress and the alidropship theme. I do all my business in dollars. Easier this way for dropshipping. When I receive the money in my bank, it is in Euros though. I use paypal and stripe as payment gates. i am also interested in pursing a drop shipping business online but i need someone to guide me since i have no experience in online marketing business at all. this article has inspired me a lot in pushing through with my plan. i hope you can help me with the start up. Hi Yan, Your success story is inspiring. If you don’t mind may i know how much you’ve spent for ads? Insta and facebook together? Hi Yan, Congratulations on your success. If you were to start all over again, would you purchase the turnkey dropshipping store or Alidropship plugins? Why? Why not? Want some money to start a business. Can you tell why using shared hostgator was a mistake ,? I am interesting and reading to know more idea about it, I hope to join you next month.